Call us today for complete lift & shift solutions in Sydney & beyond. Franna crane, rough & all terrain crane, crane truck, mini crawler crane hire & more! If you would like value for money, Botany Cranes can help you get your next lift and shift job done at a reasonable price. 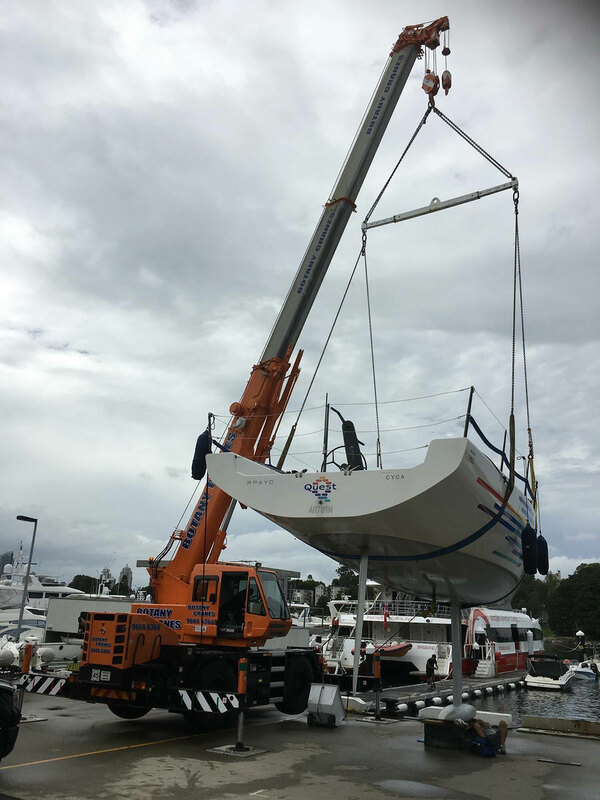 With a range of franna cranes, rough terrain cranes, all terrain cranes, crane trucks and mini crawler cranes, available for short or long-term hire, there's no load we can't shift from Sydney to Randwick, Bronte, Coogee, Cronulla, Maroubra, St George, Manly and surrounding Sydney suburbs. Contact us today for more information! Botany Cranes is your one-stop shop for lift and solutions in Sydney and beyond. No matter the size of your project, our crane truck hire fleet can help you lift, shift and move your load. With over 60 years' experience in the heavy lifting industry, our crane trucks and crane operators can lift and shift loads for civil construction, ports, defence, Ausgrid, marinas, gas plants and terminals, major chemical plants, warehouses, residential and domestic clients and more. We specialise in wet hire of fully serviced mini crawler cranes, all terrain cranes, franna cranes and rough terrain cranes - plus more. Our sole concern is the safe transportation of your plant and equipment. 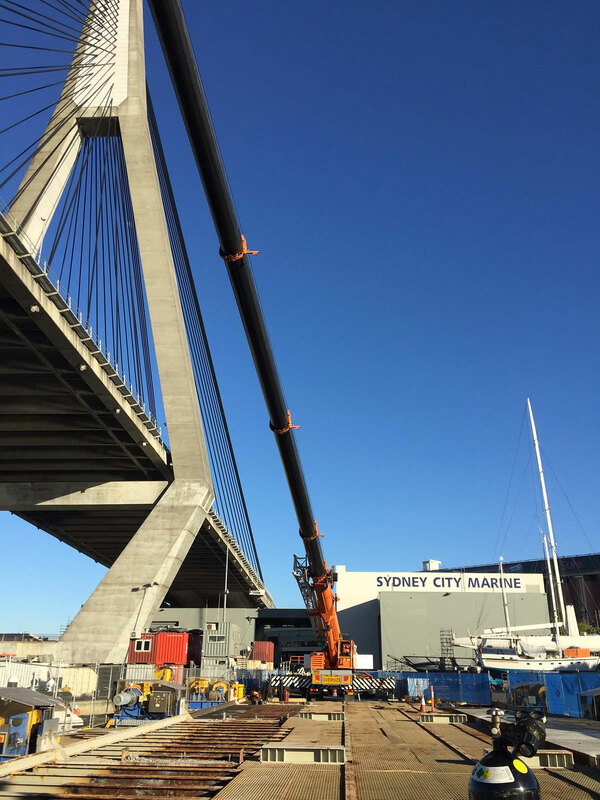 Botany Cranes has built a reputation for high-quality heavy lift solutions amongst an increasing client base around Sydney from owner-operator businesses through to some of Australia’s biggest civil construction companies. Do you need to hire a mini crawler crane for your next Sydney project? 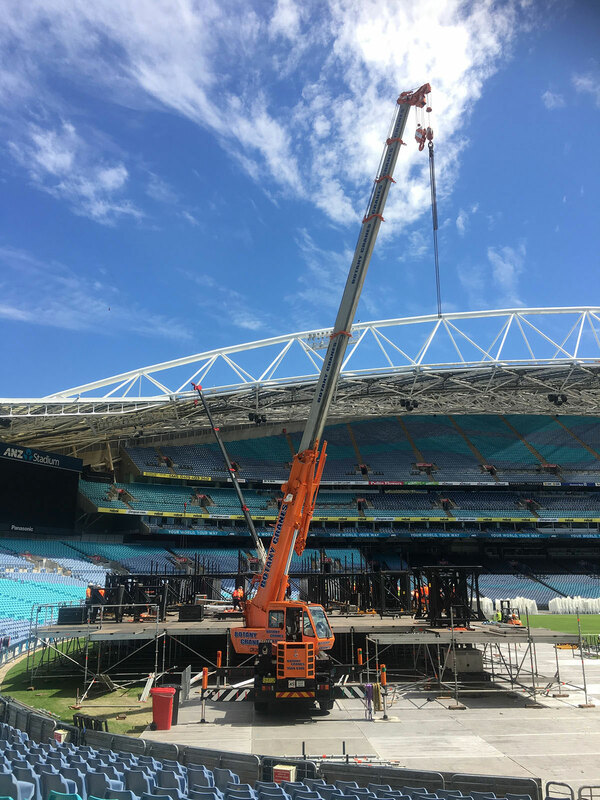 We have modern and well-maintained mini crawler cranes for hire from Bondi to Randwick, Bronte, Coogee, Cronulla, Maroubra, St George, Manly and surrounding Sydney areas. Our mini crawler cranes for hire are ideal for a wide range of applications. Perfect for work in confined spaces and jobs where height has limited access. Our clients are always impressed by the lifting capacity and operation of our mini crawler cranes. We have industry-experienced and fully trained crane operators to go with our mini crawler cranes for hire. Call us today, we are always happy to have a chat about your heavy lifting requirements and give advice for your next lift and shift project. If you need all-terrain crane hire, contact our team. At Botany Cranes, we understand the needs of workers and foremen operating in all kinds of worksites. Our team's experience in construction and various other trades has given us an in-depth knowledge of how varied building sites' geography can be, and how many modern work areas need a flexible fleet that can operate on various types of terrain. That's why we're ready to offer you an all-terrain crane that's fully occupational health and safety tested: no matter what kind of trade you're operating in, our machinery will perfectly service your worksite. Wherever you're undertaking construction in the wider New South Wales area, our fleet of work vehicles will suit the condition and layout of your terrain. Renting an all-terrain crane from Botany Cranes means improving your project's workflow and completing any construction task right on schedule, as well as spending much less money than you would by purchasing a work vehicle. We're available to call at 02 9666 6366 if you have any questions about our all-terrain crane hire service – or use a site to request a quote and set the rental process in motion! Renting crane trucks in Sydney is simple with us. Mobility is truly important when you're undertaking construction work on large or varied worksites. Your workers will be able to get a lot more work done when there's a safe, reliable and efficient crane on-site with a trained and licensed operator behind the controls. 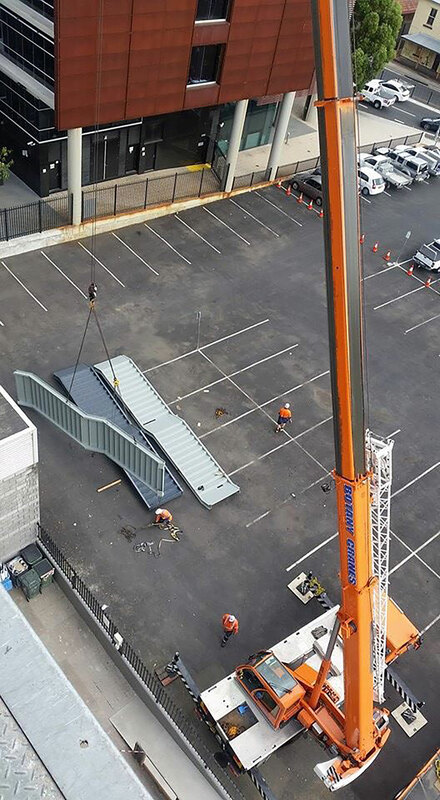 At Botany Cranes, we're proud to provide worksites all over the wider Sydney area with cranes that can go anywhere and assist any construction project to reach its deadlines. 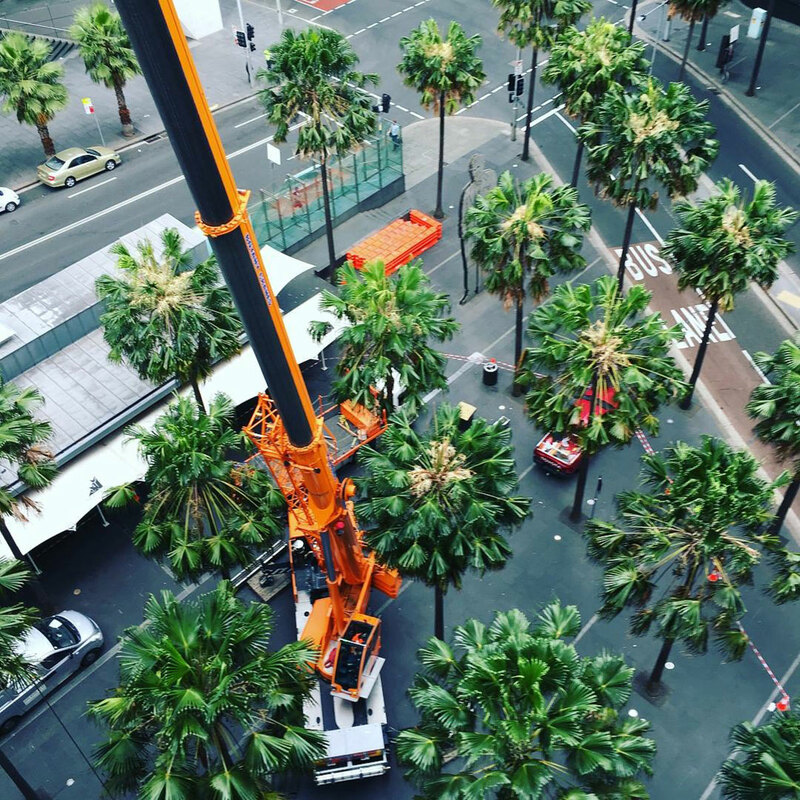 Our fleet boasts one of the widest ranges of truck cranes Sydney has to offer, and they're all available for rental to work on whatever project you have going. Check out our selection and get yourself a quote from our site: once we have your particulars, we'll be able to determine which vehicle will best suit your site and provide you with top-notch machinery at a very competitive rate. All of the personnel we provide to operate and supervise the usage of our work vehicles are fully WorkCover licensed and trained in suitable Occupational Health and Safety practices. You can rest assured that the safety of your worksite will be well-looked after by our team when you rent with us! Anyone who needs a rough terrain crane should talk to us. Worksites come in all kinds of shapes and sizes, and any construction area that's located on uneven or hard-to-navigate ground should have work machinery that can get the job done on any surface. Browsing our Botany Cranes fleet online is a fantastic way to secure your worksite rough terrain hire services that'll have your workers carrying out construction tasks quickly and easily. Hiring a rough terrain crane from us means receiving machinery that's fully tested for all applicable health and safety standards, thoroughly inspected by professional staff and operated by trained tradespeople with plenty of experience under their belts. We provide rough terrain hire that's custom-tailored for the needs of worksites throughout New South Wales and can be trusted to augment the productivity and safety of your construction operation. Contact us at 02 9666 6366 or use our handy site to apply for a quote and inspection. We're truly confident that our vehicle fleet can meet the needs of absolutely any job, and scheduling an inspection with us ensures that we'll have all the information we need to provide you with the ideal rough terrain crane for your job. At Botany Cranes, Franna crane rental is the name of our game. Are you looking for a truly versatile and multi-purpose crane to tackle a variety of jobs on your Sydney worksite? 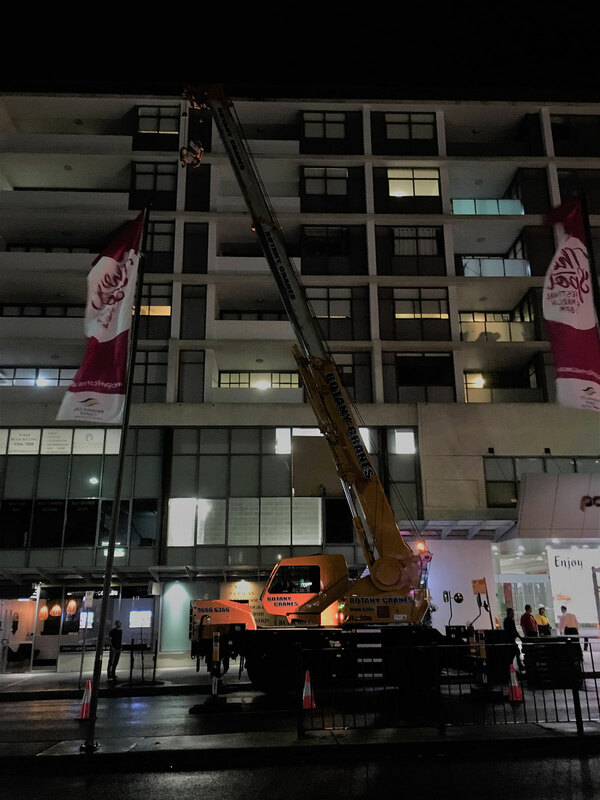 Check out our Botany Cranes Franna crane hire services: our fleet contains all kinds of work vehicles that can handle any task you'll throw at them. Whether you need to move and lay piping, transport ore, maneuver medium-sized loads through tight areas or simply pick something up and put it down, we can provide you with a competitive quote for machinery that can do all of these tasks and more. When you come to us for a Franna crane rental quote, you can rest assured that you'll get three things: a safe, well-maintained vehicle; well-trained and reliable operators and supervisors; and most importantly, a competitive quote. 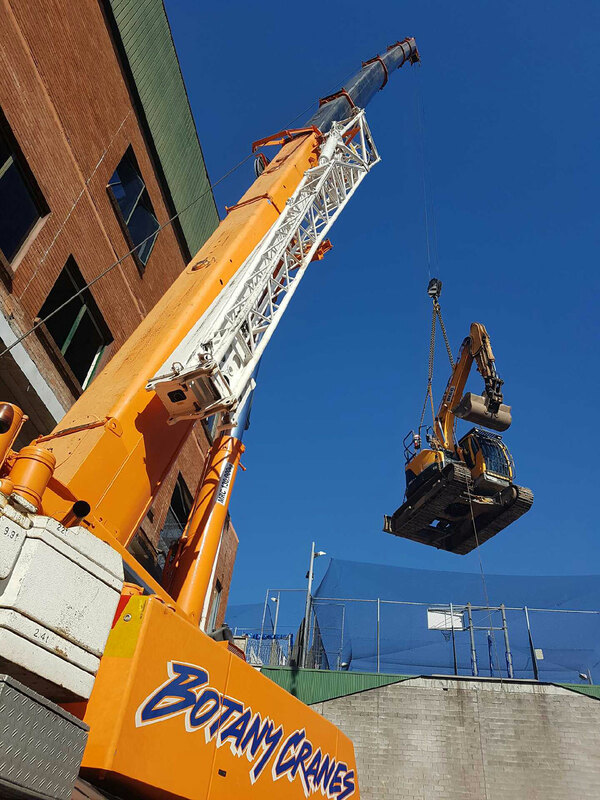 The rates we offer at Botany Cranes beat most any you'll find for Franna crane hire in the wider Sydney area, so get in touch with us at 02 9666 6366 and give us your details – we'll be more than happy to discuss how we can assist you to get your construction work completed on time. Take a look at our fleet today. Our crane fleet for hire at Botany Cranes ranges from 3-tonne mini crawlers cranes up to our 130 tonne All Terrain Crane and includes franna cranes, city cranes, truck cranes and our 100 tonne hydraulic crawler crane. So whatever your requirement we can get your job done. Our workshop is fully equipped to repair, service and maintain our equipment. Botany Cranes habe three mechanics on staff that fully qualified and experienced, meaning our cranes show up to your site ready to perform. The average age of our fleet is 5 years, meaning you have state of the art cranes showing up to your sites. That look good and perform better which in turn keeps gives your client the confidence in your ability to get the project done.